Free Comic Book Day 5/7! Free Comic Book Day is fast approaching! 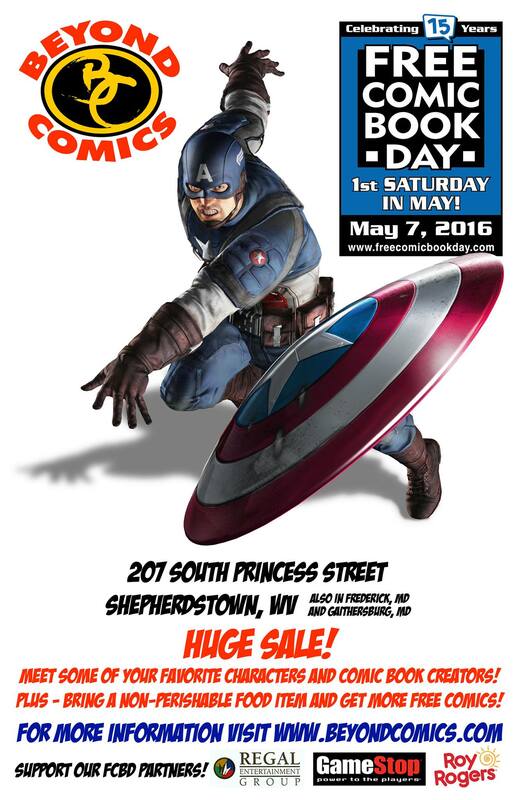 I’ll be at Beyond Comics in Shepherdstown, WV from 10 am to 3 pm signing and doodling books! ← The Books Are (Finally) Available for Pre-Order in the Shop!